The Aston Martin V8 sports car succeeded the DBS in 1972 and was produced in five distinct Series, each with its own characteristics. When production ended in 1989, a total of 4,021 V8's had been built, consisting of Coupe, Vantage, and Volante convertible variants. 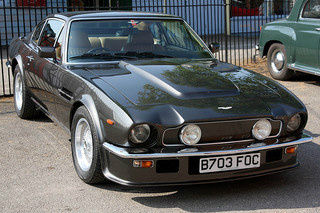 In 1977, a year before the Series 3 V8 was replaced by the Series 4 variant, the more powerful Aston Martin V8 Vantage model, with a £20,000 price tag, was introduced, and quickly secured the accolade of being the UK's first supercar. 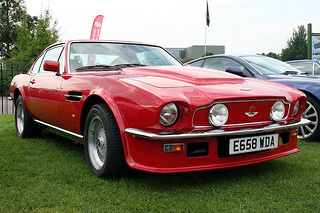 Although based on the V8 model, the Vantage variant differed in so much as it included a separate rear spoiler, while the air scoop on the bonnet was now closed off, as was the grille section, to which was added two separate driving lights to complement the two existing headlights. 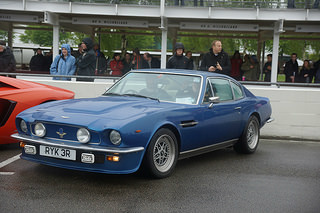 This model was given the designation V8 Vantage Series 1. From October 1978, the Oscar India variant featured a classic "tea tray" rear spoiler together with a smoother bulge on the bonnet, whilst the walnut dashboard received an alternative leather covered version. The Series 2 Vantage sports car was introduced in early 1986, with 304 coupes, of which 131 were the X-Pack variants, being produced by 1989. 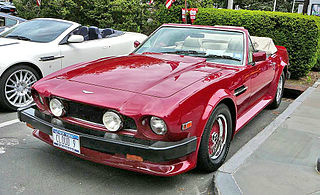 At the same time, 192 Vantage Volante convertibles were produced incorporating a larger front spoiler, and wider wheel arches. 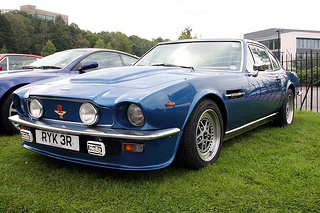 The V8 Vantage variant shared the same 5.3 litre, DOHC, V8 engine with the standard V8 model, but with modified camshafts, higher compression, larger inlet valves, improved manifolds and larger carburettors. As a result, output increased from 350 to 375 bhp at 5800 rpm. Fitted with the same ZF five speed manual gearbox, and a 9.0:1 compression, it produced a top speed of 170 mph, with 0-60 mph in 5.3 secs. On the other hand, the Oscar India variant developed 390 bhp at 5800 rpm, with 406 ft/lbs of torque, and a top speed of 171 mph. Between 1986 and 1989, an X-Pack optional upgrade was available with Cosworth pistons and a racing-styled head, which further increased output to 403 bhp. Other options included (a) larger twin choke Weber carburettors, and a straight through exhaust system which developed 432 bhp at 6200 rpm, (b) a 6.3 litre, V8 engine replaced the basic 5.3 litre unit, and produced 450 bhp. 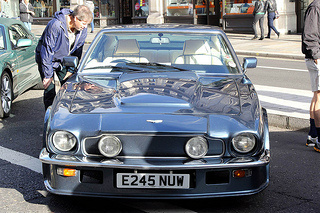 A Series 1 Aston Martin Vantage V8, in good condition, would command in the region of $80,000/£50,000 to $140,000/£87,000.